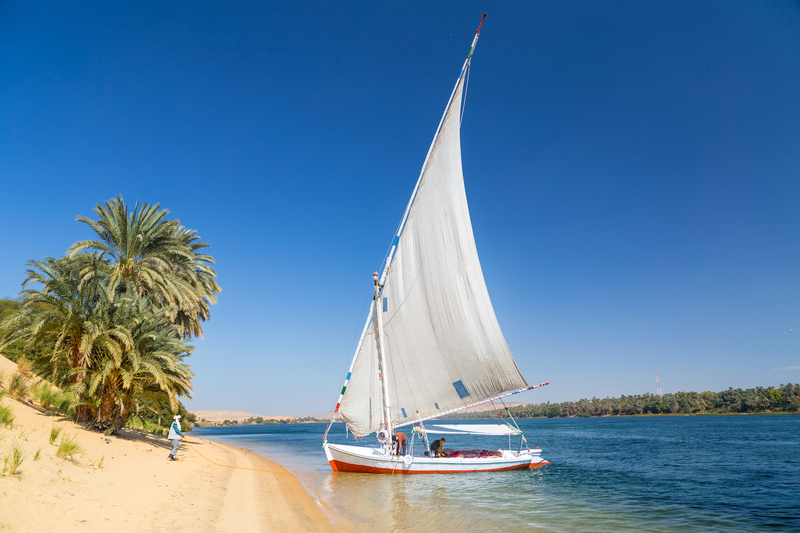 Sail south on a wind-powered boat, visit ancient tombs and temple ruins, insider view of the Nile’s people and culture. Interact with local Egyptians on farm visits, market visits and village home visits. Not only is Egypt home to some of the most remarkable sites in the world, the Egyptian people are some of the most welcoming. Our world has been shaped by the cultures and innovations born in this country and we are honored to be the channel through which our guests can get to know this people and their nation. Our private Egypt tours are crafted in a way that will introduce you to the history, the people and the culture. You can visit the main sites with some of the best guides in Egypt, but also visit local Egyptians in their homes and farms. You will taste wonderful Egyptian food and see why the people here love gathering together to share meals and conversations. 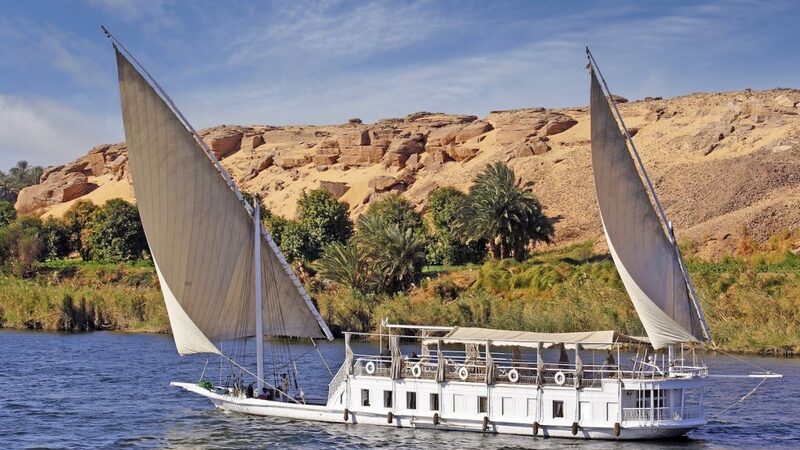 Our favorite way to experience this part of the Nile is on a Dahabiya twin-sailed boat, which sails between Luxor and Aswan (south only). Please bear in mind this experience does not include visits to the amazing temple sites in Luxor and Aswan. Have a look at our 7 Day Private Egypt Tour to get an idea of the full Egypt experience, with the sailing occurring between touring days 5 and 6. Upon arrival we will meet you at the Luxor Airport and transfer you to your sail boat for the next several days. If you are already traveling with us your driver will transfer you from Luxor to your sail boat. Travel time from Luxor to Esna (where you will check in to your Dahabiya Cruise) is about 1 hour. Today have lunch on board your boat and begin sailing for about 4-5 hours to El Hegz Island. Once in El Hegz, you will go on a walking tour in El Hegz village, taking time to connect and visit with a local family. After breakfast on board and your peaceful morning of sailing the Nile, you will visit El Kab and the ancient tombs and temple ruins. Return to your sail boat for lunch and proceed to the Edfu for you afternoon of exploring. The temple of Horus at Edfu is among the best-preserved of all the great temples of Egypt. Built high off the Nile it was protected through out history by the Nile River floods. Today you will visit Bisaw Island and a local village. 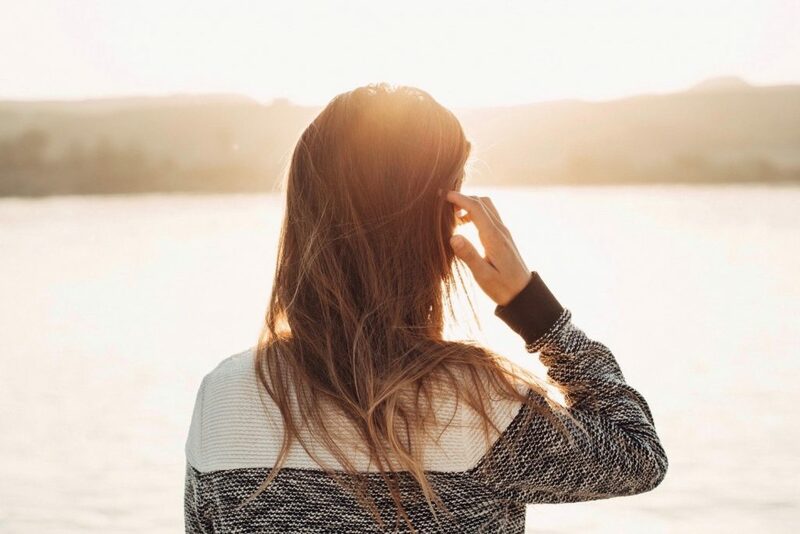 You will connect to the Nile and her people by learning about the lifestyle and culture in a remote Egyptian village. Enjoy a ride with a local fisherman learning about his lifestyle and even try your hand at helping him fish. You sailing will continue and your next stop is El Selsela’s ancient sandstone quarry and shrines. Today you will visit the Kom Ombo temple, Daraw town, and experience the weekly camel market. After lunch on board, you will set sail towards Aswan. This morning you will have breakfast on board and then check out of your Dahabiya. Extend your tour with us and experience Aswan, continue experience your Remarkable Egypt Tour or fly back to Cairo or Luxor. Ancient Egyptians believed that this was the place where the gods gave birth to the Nile. Today it is a town reflecting both modern Egyptian and distinctive Nubian cultures. As you spend time with Nubian people, looking into their faces and at their culture, you will see that there are both Middle Eastern and African influences. In a quarry in town, you will find a huge broken obelisk and hear that many obelisks were cut from Aswan quarries. The motor boat ride to Philae Island’s perfectly preserved ancient Egyptian temple complex, gives you an idea of one of the many UNESCO projects to rescue ancient Egyptian structures from the rising waters of the Nile, due to the construction of dams. And don’t miss the Aswan High Dam, one of the world’s largest dams (Lake Nasser), which since its completion in 1970 has stopped the annual flooding of the Nile and enabled many thousands of acres of land to be farmed, especially in the Nile River Delta north of Cairo. South from Aswan is Abu Simbel, with its 20m high statues of Ramses II, also rescued by UNESCO and overlooking Lake Nasser. Imagine these statues overlooking the narrower Nile River, warning invaders from the south but reassuring those from the north, that Egyptians ruled. Nubians have lived in what is now southern Egypt and northern Sudan for 1000’s of years. Their culture is entwined with the river, the desert and the farm land near the water. 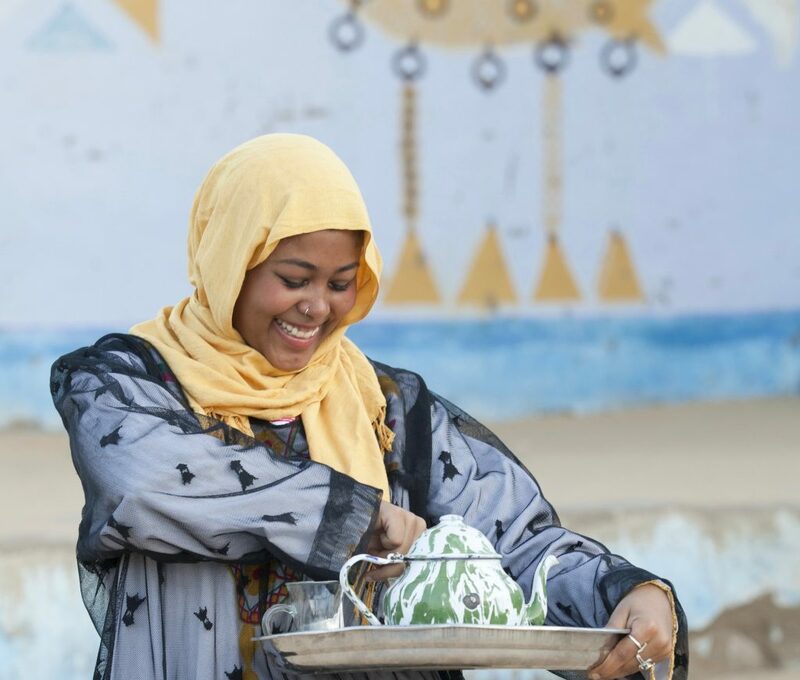 Taking time to sail, walk and travel with a few Nubians, will enable you to appreciate their homes, families, hospitality and their boats, not to mention some of their history and culture. Our local Nubian friends love introducing you to their culture and there is no better way than sailing on the boats, walking through their farms, entering into their uniquely designed homes and savoring their tasty home made meals, ending with a few songs. This will leave you with a colorful memory of their life near the Nile.